John Berryman's Dream Songs are perhaps the funniest, saddest, most intricately wrought cycle of poems by an American in the twentieth century. They are also, more simply, the vibrantly sketched adventures of a uniquely American antihero named Henry. Henry falls in and out of love, and is in and out of the hospital; he sings of joy and desire, and of beings at odds with the world. He is lustful; he is depressed. And while Henry is breaking down and cracking up and patching himself together again, Berryman is doing the same thing to the English language, crafting electric verses that defy grammar but resound with an intuitive truth: "if he had a hundred years," Henry despairs in "Dream Song 29," "& more, & weeping, sleepless, in all them time / Henry could not make good." 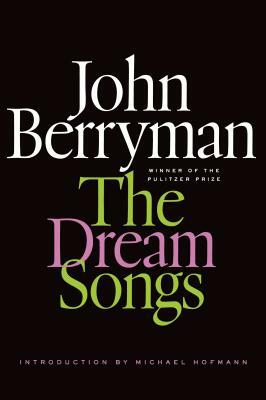 This volume collects both 77 Dream Songs, which won Berryman the Pulitzer Prize in 1965, and their continuation, His Toy, His Dream, His Rest, which was awarded the National Book Award and the Bollingen Prize in 1969. The Dream Songs are witty and wild, an account of madness shot through with searing insight, winking word play, and moments of pure, soaring elation. This is a brilliantly sustained and profoundly moving performance that has not yet-and may never be-equaled. John Berryman (1914-1972) was an American poet and scholar. He won the Pulitzer Prize for 77 Dream Songs in 1965 and the National Book Award and the Bollingen Prize for His Toy, His Dream, His Rest, a continuation of the Dream Songs, in 1969.